Black Cinnabar Beads--Black cinnabar beads are one of our best sellers! Each of our cinnabar beads is hand-carved with intricate designs, representing various symbols or images found in nature such as birds, trees, flowers and etc. The workmanship is unique! Different colors and wide range of designs are available to choose from. 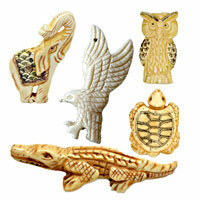 They are ideal for jewelry making, crafts designs, decorations and so on. 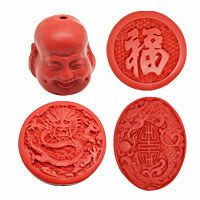 Welcome to wholesale our exquisite cinnabar beads! NOTE: Our Min. order is for each color each size. China beads accept OEM/special orders. Contact us now!